Wordless Wednesday – Paint Time! Wow, the month of May most definitely got away from me. It was one thing after the next and now it’s over. My only post in May was a picture of my sweet princess so I thought it might be a good idea to post something to explain where in the world I was all month. Let’s see… The first week of May was crazy. That was finals week and by NO means was it easy. After a LOT of hard work and non-stop studying I was able to achieve a 3.500 GPA this semester (and I was only about 5 points on the final away from an even better grade in pharmacology! ), which I am pleased with. My family made a lot of sacrifices to help make that possible but now I am OFF for the summer. Only one more year of school left and I should have my Associate of Science in Nursing. That will make me eligible to take the RN licensing exam. Only ONE more year. Wow. I can’t even begin to say how much I’m looking forward to that. After finals were over Gabe and I went to celebrate with some of my awesome nursing school friends and we had a fabulous time. See! Once the semester was complete it was time to get back to the business of getting my house cleaned up, as well as getting ready for some yard sales. I definitely didn’t have time for all those kinds of things while classes were going on. 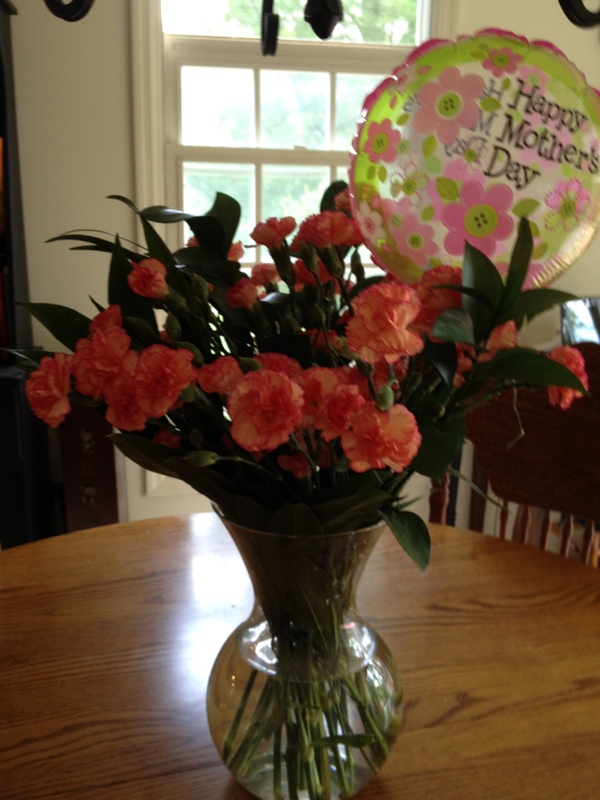 The week after finals was Mother’s Day. Gabe and the kiddos made it special for me. Gabe told the kids that he “got mommy a surprise” on that Friday and that was too much of a secret for them to be able to hold inside. So my sweet presents came a couple of days early. 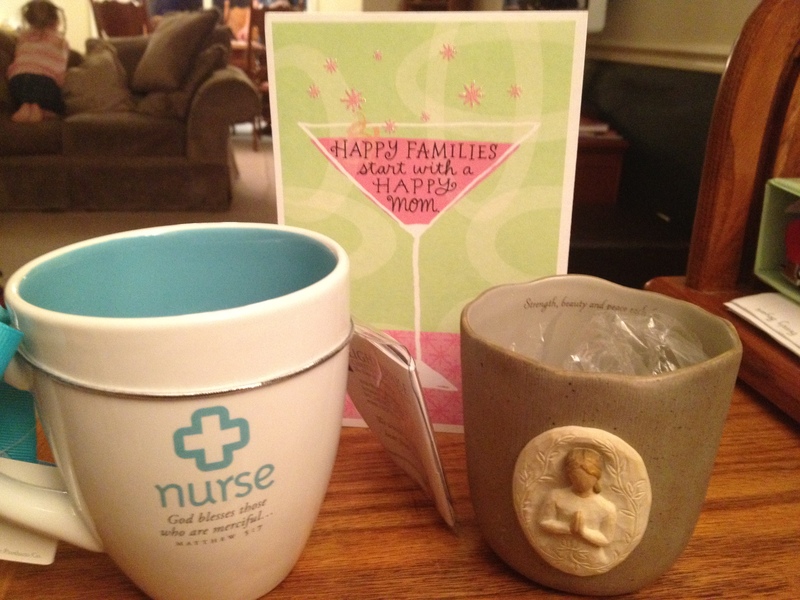 Gabe did an awesome job picking out a “Nurse” mug for me and a Willow Tree candle holder. Aiden was able to sign the card and Livi put some scribbles, which could not have made me happier. I got to spend Mother’s Day with my wonderful mother-in-law at church and the afternoon with my grandma and two aunts. My grandma and two aunts helped raise me. I wouldn’t be who I am without them. 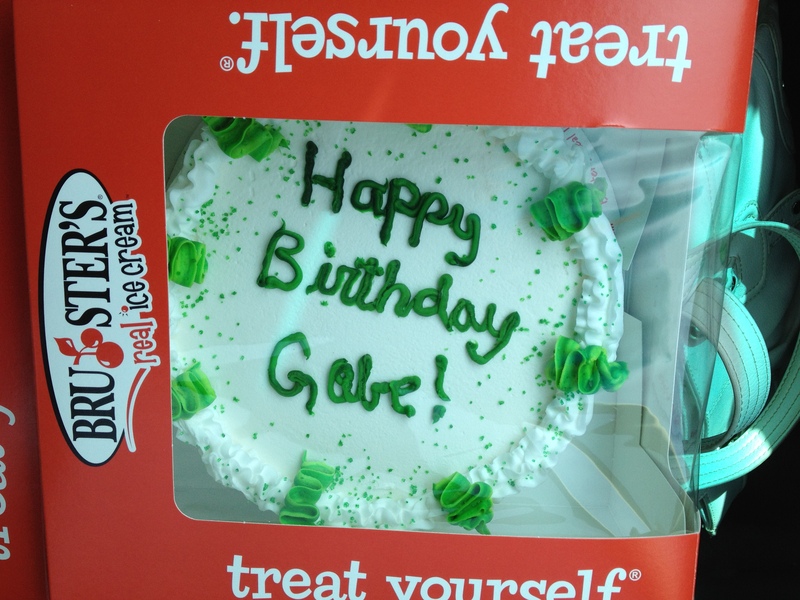 My mother-in-law is truly my friend and because of her I have Gabe and everything I love now. 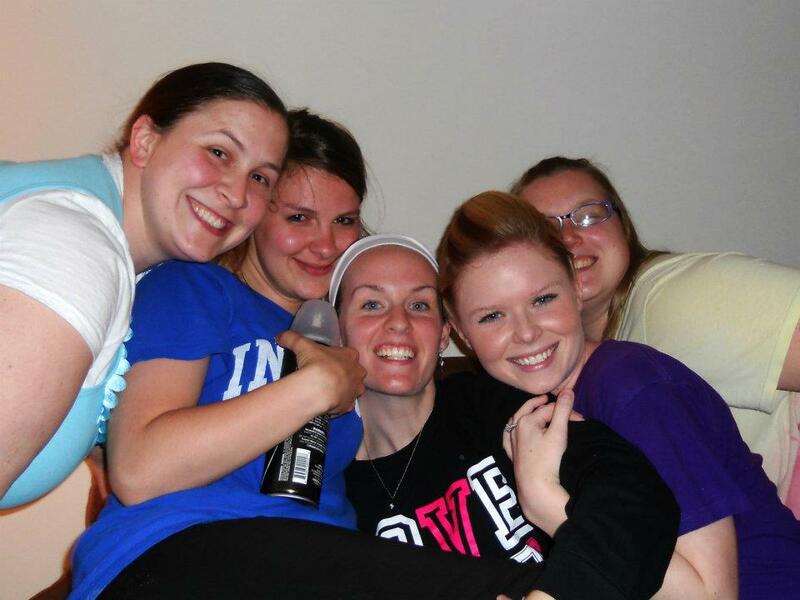 I am beyond blessed to have these women in my life and there’s no one else I would have wanted to spend that day with. The following weekend was our first yard sale of the season and of course it was HOT. I always pick hot days for yard sales. My awesome friend, Kim, helped me out and we were able to unload quite a bit of stuff. There was still stuff left over so I had another sale the following Friday. It was even HOTTER. This time Livi was my assistant and we made a good day out of it. I still have a few big things left that are now on Craigslist and will hopefully soon be headed off to good homes. We wanted to do a big bonfire but the weather did NOT cooperate and it was again HOT. We still had a fabulous time and celebrated the man I love. Isn’t he cute (even if the kiddos weren’t terribly happy to stand there!)? We partied on Sunday with my family and again on Monday with Gabe’s family. We had a wonderful Memorial Day spending time together and enjoying the kiddos. May wasn’t quite over yet though. Last night my baby boy graduated from preschool! They had a sweet little ceremony and he even got to read! If you watch the video (it’s only 16 seconds long) you can definitely hear one proud momma after his reading is over. Yep, I couldn’t help myself. Sorry for the quality, I took it with my phone. I got this one as they were doing a little march around and of course my son’s hat is on sideways and he’s blurry on the bottom half from moving but he couldn’t be happier and I love it. So yeah, May was BUSY to say the least. I’d say June will be less stressful in terms of obligations but not in terms of things to get done. 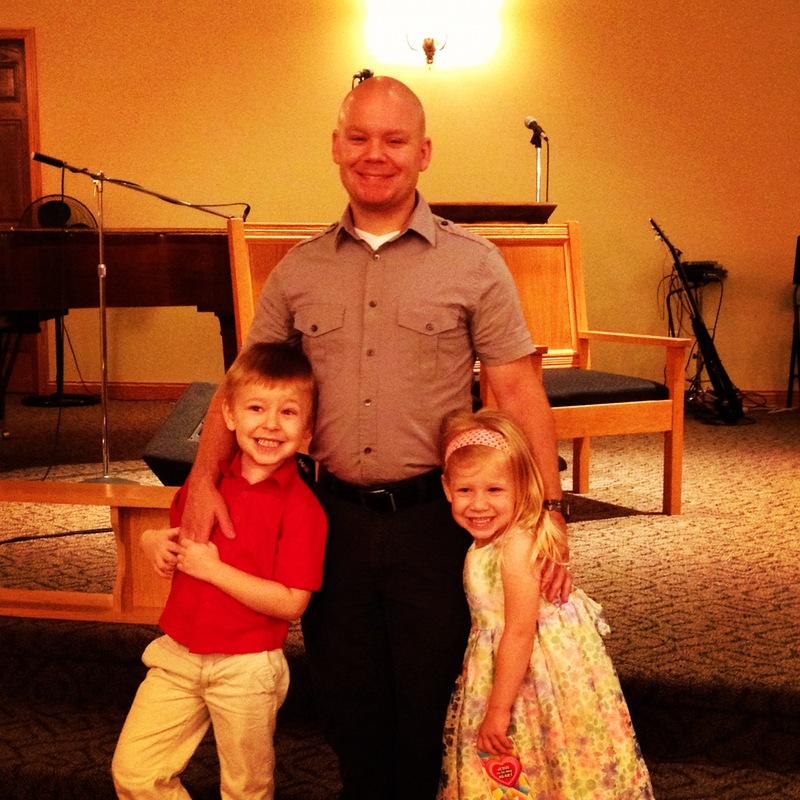 I’m looking for at least a part-time job and of course the kids and I are going to make the most of this summer while I’m out of school. Oh and this blog will absolutely be a priority.